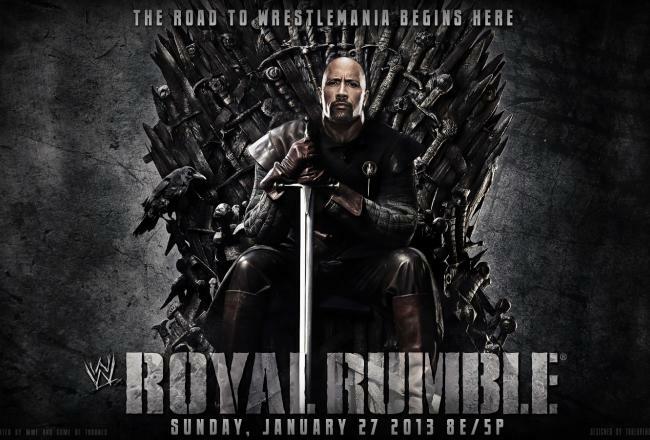 Wrestling With Dyscyplyn: WrestleMania 29 – The Birth Of A New Regime? April 7th is almost upon us. It only happens once a year and in New York City at MetLife Stadium, the WWE host their Mecca in the form of WrestleMania 29. It’s the time where casual fans, former wrestling fans, the die-hards, and IWC congregate towards the squared pulpit. This is the moment where old stars are given another chance of glory, current stars adding on to their legacy, and new stars creating their own path. It is the time where long-running chapters come to an end, and new ones begin. That’s what it should be, but in the past years there hasn’t been much of a closing and more of a rehashing. While a few matches were set in stone a year prior, two consist of rematches from the 2012’s premier Pay-Per-Views WrestleMania 28 and SummerSlam. The undercard was haphazardly put together after a stop-and-start on certain programs, leaving a few people behind while giving some new opportunities. The Intercontinental Title gets buried again and The Undertaker returns from semi-retirement to face the biggest heel in the past year. There is a lot to discuss here and without further ado, let’s rundown the card for the “Showcase of the Immortals”. Three Days. Two Regions. 65 matches. 226 wrestlers. 18 title defenses. All of this compacted to one glorious weekend from April 5th-7th. What was once known as a time for wrestling fans as the weekend of one big show has now grown to several major shows over the years. Starting in March 2006, independent wrestling promotion Ring Of Honor did a doubleshot of shows in Chicago, Illinois, exactly at the same weekend where the city would host WrestleMania 22. The end result saw the promotion having the two best shows that weekend, blowing out anything that was featured on WWE’s premier Pay-Pay-View event. Since then, ROH has made it an annual tradition to have shows at the location of the next WrestleMania and constantly continues to outshine the big guns. In the subsequent years, a number of independent promotions began to take notice and also began following suit. When booker Gabe Sapolsky left Ring Honor to create EVOLVE and Dragon Gate USA, he took that approach and began doing shows for the past four years at the Mania locations. Now CHIKARA, CZW, SHIMMER, and a plethora of independent promotions are working this year’s WRESTLECON, which is a major wrestling convention that happens annually. This year, it will also be in the New York area and this weekend will be full of mat-slamming and high-flying action. This week, I’ll be covering the eight major shows happening this weekend from Ring Of Honor, DGUSA, EVOLVE, New Japan, and WWE. It wouldn’t be WrestleMania Weekend without WrestleMania, but it isn’t the only show in town anymore. With a little more than 48 hours to go, the WWE will hold its 26th annual Royal Rumble from the U.S. Airways Center in Phoenix Arizona this Sunday. As far as pay-per-views are concerned, this is looking like the biggest non-WrestleMania show in quite a while with The Rock returning to challenge CM Punk for the WWE Championship. Instead of previewing the entire card for the event, the focus will be strictly held on the Royal Rumble match itself and how this can be a little more interesting. Remembering Mitsuharu Misawa: Man. Icon. Inspiration. Today would have marked the 50th birthday for Puroresu (Japanese Professional Wrestling) legend, Mitsuharu Misawa. A man whose life was cut short doing what he loved most and that was putting on the best performance he could for the crowd. To those who may not know Misawa, he influenced the current generation of young wrestlers today such as CM Punk, Daniel Bryan, and Samoa Joe with his athleticism and showmanship. A consummate in-ring worker, he was one of the all-time greatest big match wrestlers of the past two decades, putting on stellar bouts ranging in arenas from the Nippon Budokan to Korakuen Hall. 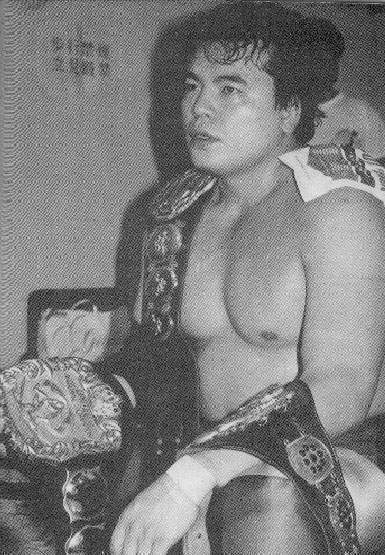 Misawa was a 1980 National High School wrestling champion, which caught the eye of Shohei “Giant” Baba and was recruited to All Japan Pro Wrestling. He started to gain exposure as the second incarnation of Tiger Mask, but failed to reach the success of the original (Satoru Sayama) and his predecessors. It wasn’t until he unmasked himself and began a lengthy feud with then All Japan ace, Jumbo Tsuruta. Misawa would team with two young allies in Toshiaki Kawada and Kenta Kobashi to lead their charge against Tsuruta’s veteran army, producing a series of classic 6-Man Tags. Misawa’s match with Jumbo on 6/8/90 was given 5-Stars by Dave Meltzer and was marked by many as the match that solidified Misawa as the Ace. 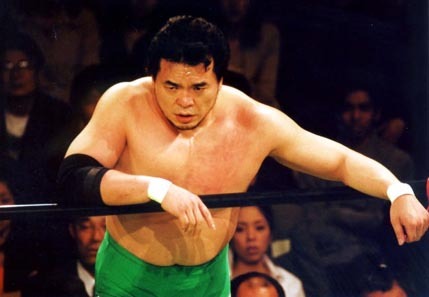 While Jumbo went on to create the King’s Road style of Wrestling, Misawa surely perfected it and made it one of the smartest Professional Wrestling styles today. During his time with All Japan, he feuded with former partners Toshiaki Kawada and Kenta Kobashi and had two of the greatest matches ever with a 6/3/94 bout with Toshiaki Kawada and a 6/9/95 Tag with Kobashi against Toshiaki Kawada and Akira Taue (with the latter crowning them as the four pillars of All Japan). Misawa was held as one of the best wrestlers in the 90s and having some of the most consistent performances in his career. With the death of Giant Baba in the late 90s, Misawa took control as AJPW President. Following disagreements with Makoto Baba (Giant Baba’s wife), Misawa split with All Japan in 2000. He then went on to create Pro Wrestling NOAH, taking almost all of the All Japan roster (sans Toshiaki Kawada and Masanobu Fuchi). He would make sporadic returns to All Japan defeating Satoshi Kojima at Battle Banquet and teaming up with another former All Japan president Keiji Mutoh against Kensuke Sasaki & Hiroshi Hase. In NOAH, Misawa continued to put on excellent performances though there was noticeable aging on his body. In what many considered his best match in the company was against Kenta Kobashi on March 1, 2003 in where Kobashi finally defeated him in a championship singles match. Misawa would win the GHC Heavyweight Title on three occasions, with his last reign lasting nearly two years. He would wrestle for the first time on US Soil in 2007, working on Ring of Honor’s Glory by Honor weekend. On Night One, he teamed up with KENTA wrestling Naomichi Marufuji & Takeshi Morishima to a draw and he defended the GHC Heavyweight Title against KENTA on Night Two. Misawa’s career is highly decorated. He holds the record for most 5-Star matches awarded by the Wrestling Observer with 24, WON Wrestler of the year in 1995, 1997, and 1999, a 5-Time All Japan Triple Crown Champion, 1995 and 1998 Champion’s Carnival Winner, a 3-Time GHC Heavyweight Champion, a 10-Time Tag Team Champion in All Japan and NOAH respectively. The list goes on…..
On June 13, 2009 Mitsuharu Misawa collapsed after receiving a belly-to-back Suplex from Akitoshi Saito in a Tag-Team Title Match in Hiroshima. Misawa teamed with Go Shiozaki while Saito teamed with Bison Smith respectively and the match was stopped 17 minutes in after the incident. While lying in the ring, paramedics tried to revived him with CPR as he stopped breathing and The crowd began to chant his name, hoping that their hero would get back up. Misawa was turning purple and he was stretcher out the ring and rushed to the hospital. 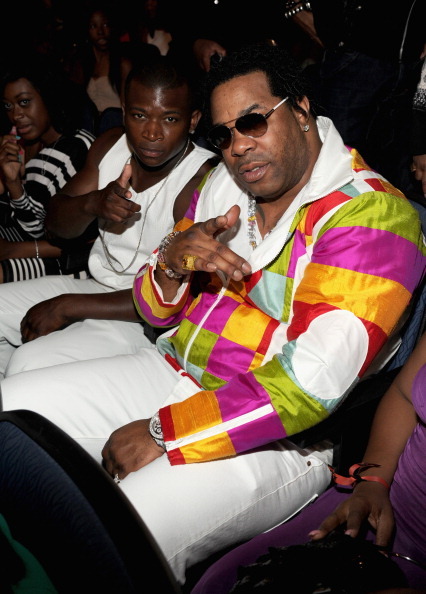 He was later pronounced dead on 10:10 p.m. (Japanese Time), just 5 days shy of his 47th Birthday. He will be greatly missed not only for his in-ring work, but for the admiration from his peers and fans alike. While I was more influenced by the style and grace of Kenta Kobashi and Toshiaki Kawada respectively, I couldn’t help but to admire the work ethic and ability of Misawa. A craftsman in the very essence, his work could very well put the likes of Ric Flair to shame. Long Live Mitsuharu Misawa, and Long Live the Emerald.